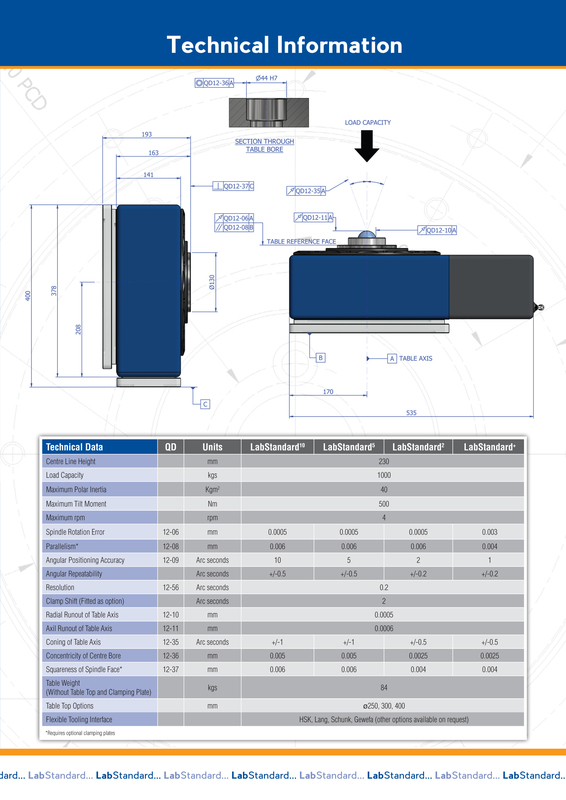 The LabStandard has been designed for horizontal or vertical applications (Dual Purpose) and combines a preloaded axial and radial rolling bearing to provide high rigidity in both planes ideal for heavy off centred loads. 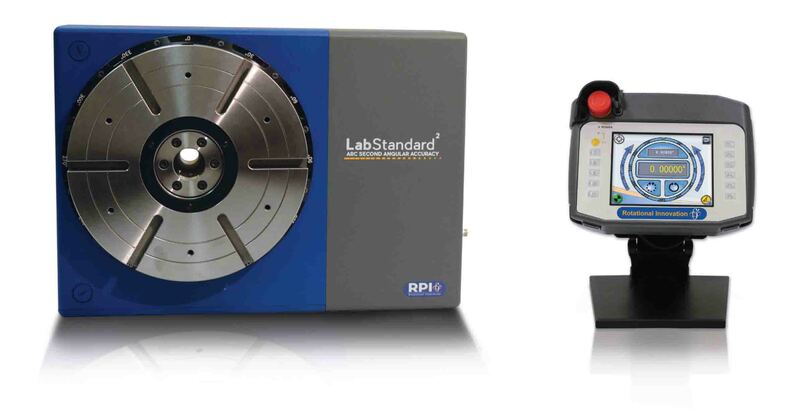 With self-locking worm gearing and a high accuracy angular encoder ensuring sensitivity, fine positioning and high loading capacities LabStandard has been specifically designed for metrology, fine machining and precision testing. LabStandard’s capabilities delivers new levels of accuracy, flexibility and performance over a wide range of calibration and inspection applications. The programmable ArcMotion GUI allows the operator to accurately and efficiently carry out sequencing and repetitive operations using the in-builtstep and repeat programing function. The combination of sub arc second angular accuracy with sub-micron circular geometry reduces process measurement uncertainty to a level where LabStandard can be considered your measurement reference standard. LabStandard’s construction allows operation with its axis horizontal or vertical without any noticeable change in performance. A high precision encoder is mounted directly to the axis of rotation offering positional accuracies of 1, 2, 5 or 10 arc seconds. A programmable service and calibration indicator is provided via the ArcMotion. LabStandard is fully compliant to IP67. A fail safe compact and powerful pneumatic clamping system is available as an option and is controlled via the ArcMotion GUI or optional Axia NC control. LabStandard’s features have been designed to help you get the job done. Flexibility and a range of accuracies allow the LabStandard to fulfil a wide range of applications. LabStandard comes fully integrated with RPI’s rugged and programmable high resolution user interface the ArcMotion.